The foundation of every strong, beautiful smile is a quality preventive approach. It is, after all, much easier to treat dental problems when they’re still small than after they’ve already caused extensive damage. That’s why our Island Daily Dental Care doctor and staff members will always emphasize the importance of regular checkups, refreshing cleanings, and similar services to patients of all ages. If it’s been some time since your last dental appointment, contact our Medford, NY location today! We’re proud to serve families from all over the greater Long Island area. We strongly recommend that patients attend at least two checkups and cleanings a year for optimal oral health. 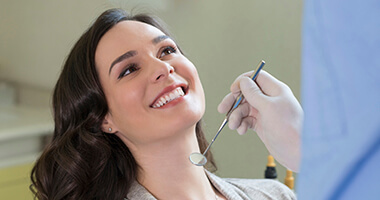 During these visits, we’ll form a comprehensive understanding of your smile’s unique needs and shortfalls, carefully inspecting each individual tooth, gum tissue, bite, jaw, existing restorative work, and more to identify any concerns at their earliest stages. Following this evaluation, one of our doctors will review any treatment that is needed and work with you to develop a plan of action that fits your budget, schedule, and personal preferences. 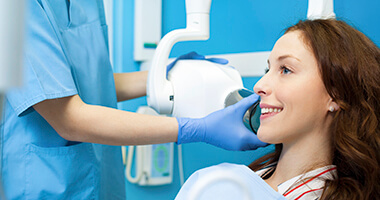 Additionally, in-depth cleanings with one of our friendly, highly-trained hygienists are necessary for an ongoing strong, healthy smile as well. Plaque (a sticky, bacteria-filled substance) is constantly forming in the mouth, and while it can be cleared away with diligent brushing and flossing, missed areas will develop into tougher tartar over time. Tartar can’t be removed from the mouth through regular means, which is where our team comes in. We’ll get rid of decay-causing agents, polish the enamel to eliminate minor staining, and leave your entire mouth feeling refreshed. At Island Daily Dental Care, we pride ourselves on being a family-friendly practice that welcomes you and all your loved ones, including children as young as three years old. Building the right oral healthcare habits from a young age can result in a happier, healthier smile for life, and our staff can’t wait to establish a trusting, friendly relationship with your son or daughter. We’ll always match our approach to their level of emotional maturity, starting with gentle checkups and slowly building to cleanings, sealants, fluoride treatments, and other important services. 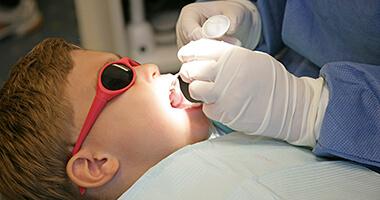 We’ll also check their current teeth for any tell-tale signs of developmental concerns; it’s our goal to effectively treat these issues when they’re still minor. Oral cancer may not be discussed as widely as cavities and gum disease, but statistics show that one person dies from oral cancer every hour on average. This is because many cases aren’t diagnosed until they’ve already reached destructive stages, which makes the chances of a successful recovery slim. Our doctors strive to identify oral cancer as early as possible for the sake of our valued patients, and we do so by performing in-depth screenings at every routine appointment. Most community water supplies in the United States contain fluoride, a mineral that’s been shown to have very positive effects on the development and health of teeth. Research has shown that children who grow up regularly drinking fluoridated water experience fewer cavities overall than children who drink non-fluoridated water. Unfortunately, the rise in popularity of bottled water has led to fluoride deficiencies for many patients. That’s why our team may recommend a professional fluoride treatment during your or your child’s next exam. It’s a safe and quick process that can reap big benefits. At Island Daily Dental Care, the days of traditional film x-rays and their various headaches are long over. 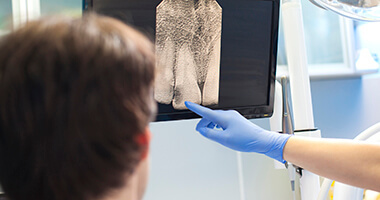 We’ve invested in digital radiography, which creates highly detailed images of patients’ smiles that are captured and transferred to our computer system for viewing within seconds, no darkroom development required. The amount of radiation exposure is also greatly reduced, making the process safer overall. This state-of-the-art technology helps us improve the caliber of our care, resulting in more precise diagnoses and highly satisfying treatment results.